Serena Williams said Friday that "every athlete, every human" should be grateful for the stand on social issues taken by former NFL players Colin Kaepernick and Eric Reid. 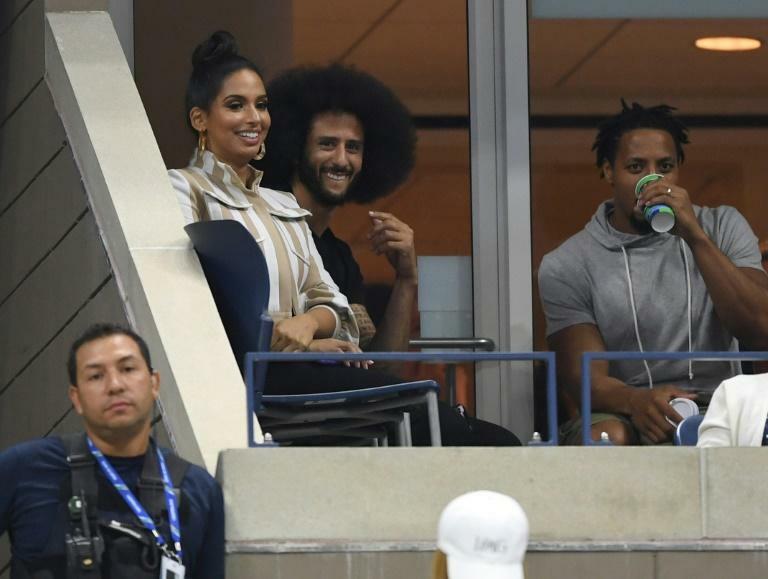 Kaepernick and Reid, two former San Francisco 49ers who are now out of the league, were among the luminaries who turned out for 23-time Grand Slam champion Serena's US Open showdown with elder sister Venus on Friday night. The two were cheered when they were shown on massive screens at Arthur Ashe Stadium. Serena said she was too focused on her 6-1, 6-2 demolition of seven-time major winner Venus to notice them. But she said she admired their willingness to use their public profiles to tackle issues of racial and social injustice. "I think every athlete, every human and definitely every African American should be completely grateful and honored how Colin and Eric are doing so much more for the greater good, so to say," she said. "They really use their platform in ways that is really unfathomable." Kaepernick, who began a kneeling protest during pre-game playings of the national anthem that eventually aroused the ire of US President Donald Trump, has been unable to secure a contract with an NFL club since becoming a free agent in March of 2017. An arbitrator ruled this week that Kaepernick's collusion case against the NFL can proceed in a blow for the league that had sought to have the case dismissed. Reid has a similar grievance pending, alleging league owners colluded to keep him as well as Kaepernick out of the NFL as retaliation for the protests. "I feel like they obviously have great respect from a lot of their peers, especially other athletes, people that really are looking for social change," Serena said of the two.